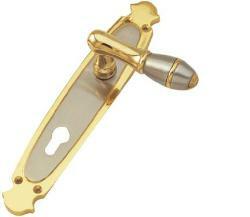 The Zenith Door Handle on backplate from quality brand, Dorset, features a rich and royal design that makes it perfect for stylish homes and apartments. 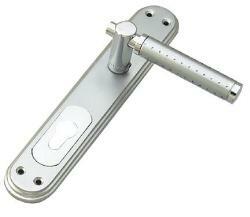 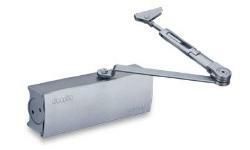 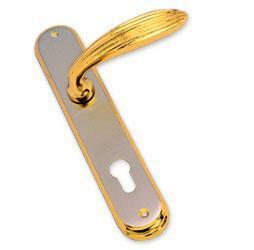 It has a embossed lined lever that curves slightly downwards at the end and results in a smooth, ergonomic grip. 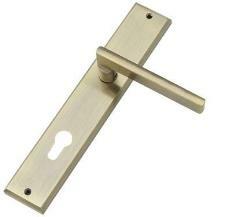 The Zenith Lever Handle on Backplate is available in five classy finishes – Silver satin, patina, Full Gold, Silver Gold and lacquered brass. 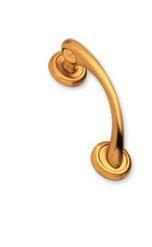 The full gold, lacquered and silver gold finish is perhaps best suited to brighter, airier interiors while the satin steel handle would look great in minimalist designs. 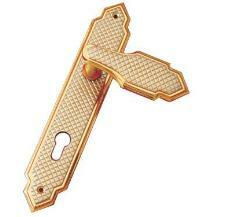 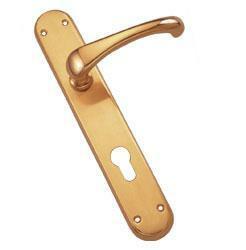 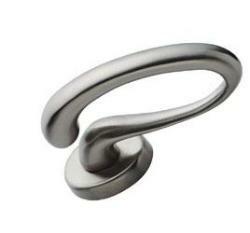 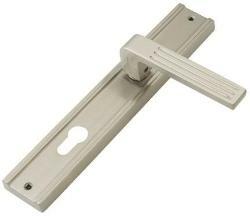 For the same handle on a round rose, please see related products below.